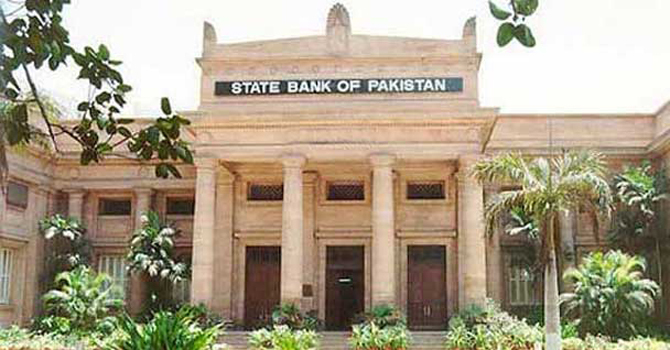 The State Bank of Pakistan (SBP) held Monday the launching ceremony of regulations of Electronic Money Institutions (EMIs) in Islamabad. Federal Minister for Finance, Revenue and Economic Affairs, Asad Umar was the chief guest. EMIs are non-bank entities that will be licensed by the SBP to issue e-money for the purpose of digital payments. The Finance Minister said that the Government was determined to transform the country into a knowledge economy by making IT one of the top contributors in Pakistan’s economy and job creation besides producing world-class knowledge workers in sync with international market trends. “It is our government’s policy to encourage the use of e-commerce amongst public through awareness campaigns to promote a culture of e-commerce in the country, which supports electronic business transactions at national, regional and international levels,” he elaborated. He also highlighted the importance of cyber security which is a growing threat for the financial institutions. In his address, Deputy Governor SBP Mr. Jameel Ahmad shared the SBP’s initiatives in transforming itself into a modern, digital and fully technology oriented central bank. He briefly elaborated the strategy of SBP to embrace technology and innovation in digitizing banking & payments, and added that the launch of EMIs regulations was the first step of SBP’s strategy in that direction. “These landmark regulations are a testament of SBP’s commitment towards openness, adoption of technology and digitization of our financial system,” added Mr. Ahmad. He acknowledged the commitment and full support of the stakeholders who provided extensive and valuable feedback by thoroughly reviewing the draft. Mr. Ahmad recalled that SBP had issued the regulations for branchless banking about a decade ago that enabled the entry of telecommunication companies into the arena of banking and payments. “The prime objective of Branchless Banking was to enable the delivery of financial services using telco-based agent network,” he said adding, “Over the past few years, branchless banking providers have evolved well and are now offering financial services to a large segment of our population”. Earlier Director Payment Systems Department Mr. Sohail Javaad, gave a detailed presentation in which he highlighted the objective and scope of regulations, licensing procedure, governance arrangement, Capital Requirement, funds safeguarding arrangements, customer due diligence use of agents and interoperability. He said that the EMIs will offer innovative digital payment solutions and services to the industry. He went on to add that the regulations also cover other regulatory requirements including outsourcing activities, AML/CFT, consumer protection, complaint handling mechanism, oversight and regulatory reporting etc. The ceremony was also attended by Parliamentary Secretary Commerce Ms. Shandana Gulzar, representatives of Ministry of Finance, Presidents and CEOs of banks, multilateral institutions, Microfinance Banks (MFBs), perspective Electronic Money Institutions (EMIs) and media organizations.